#Adulting! 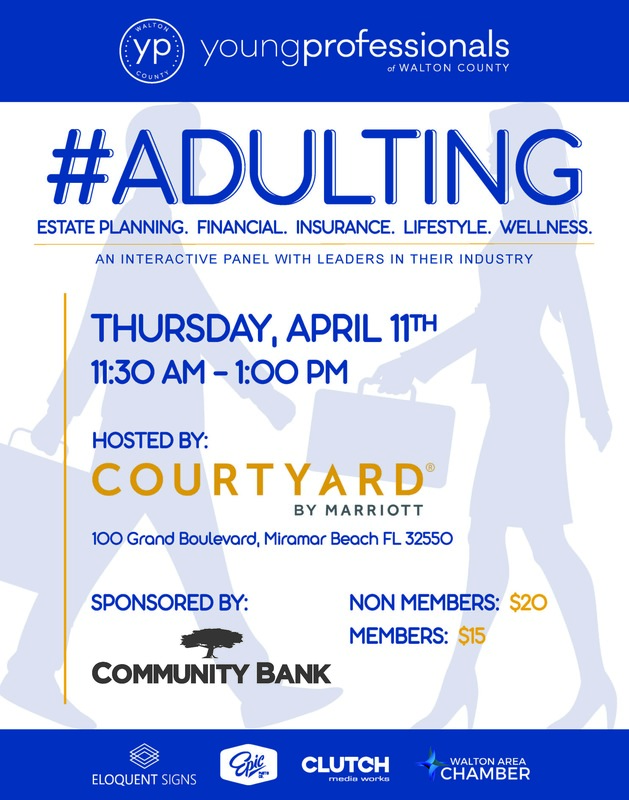 Learn how to #ADULT at our April Professional Luncheon located at the Courtyard by Marriott Sandestin at Grand Boulevard. Some topics that will be discussed include: Lifestyle, Estate Planning, Wellness, Insurance.